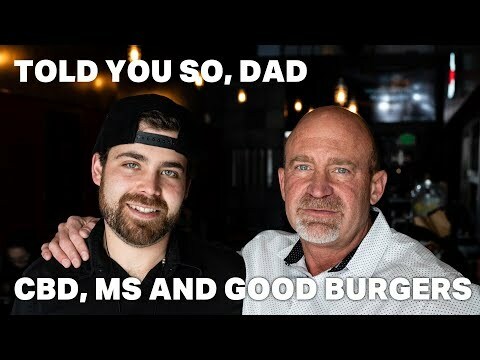 West Coast Venture Group, Corp.
DENVER, April 9, 2019 /PRNewswire/ -- West Coast Venture Group, Corp. (OTCBB: WCVC) ("WCVC") today announced the company's Illegal Burger Restaurants in Denver will launch the all new Illegal CBD Infused Burger Bowl in conjunction with the upcoming 420 celebration ... and there's nothing illegal about the CBD Infused Burger Bowl other than maybe how great it tastes. The Illegal CBD Infused Burger Bowl is the first new menu item to be introduced in a growing list of coming CBD infused menu items. WCVC recently announced a formal move into the cannabis sector. To start, the company disclosed plans to further solidify its partnership with North American Cannabis Holdings, Inc. (USOTC: USMJ) ("USMJ"). WCVC and USMJ entered into an agreement last year where WCVC agreed to manage the rollout in Denver of the AmeriCanna Cafe, founded by USMJ and spun-off into an independently listed public company. The independently listed company is Priority Aviation (USOTC: PJET) and a name change is pending in conjunction with the new cannabis restaurant business. Between the robust sales of EVERx and the response WCVC has had to their role in the AmeriCanna Cafe project, WCVC has decided to advance the relationship into an equity partnership so WCVC shareholders can benefit from the equity appreciation of the cannabis business WCVC is already managing. WCVC and USMJ expect to announce the details of their partnership in conjunction with the upcoming 420 celebration. In further WCVC cannabis sector developments, the company has also released sales information regarding the continued growth of EVERx CBD Sports Water since introducing the beverage in its Illegal Burger restaurants last month. WCVC just placed its third restock order this year. EVERx CBD Sports Water is produced by Puration, Inc. (USOTC: PURA). CEO West Coast Ventures Group, Corp. SOURCE West Coast Venture Group, Corp.